December 5, 2017 / Modified dec 5, 2017 12:56 p.m.
QuikTrip is working with Safe Place to receive homeless youth who may be in need of help. 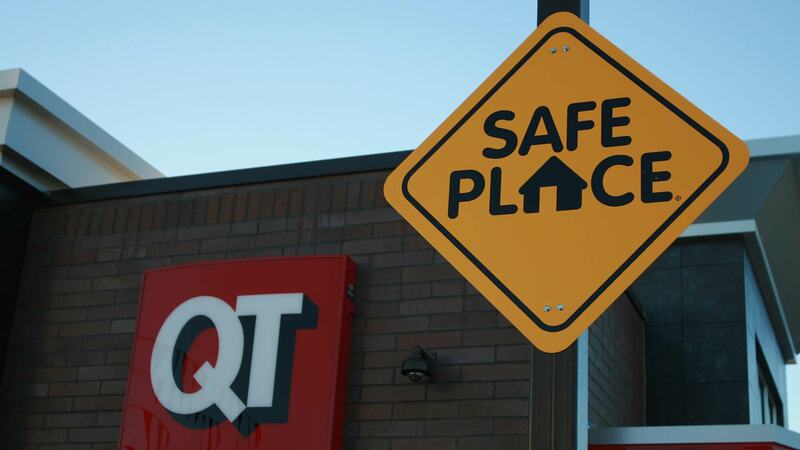 QuikTrip convenience stores are working with the national organization Safe Place to provide locations to receive homeless youth in need of help. The organization's big, yellow signs signal to homeless teens ages 12-17 that the location is a safe place to stop. Laurie Mazerbo is the chief program officer for Safe Place and works for Our Family Services in Tucson to provide resources for homeless teens. "We have had 30 kids show up to QuikTrips in town that we have picked up and taken to our shelter to try to figure out if they needed longer-term shelter, or if we needed to reunite them with their family or guardian," Mazerbo said. She says the national partnership with QuikTrip makes it easier for teens to find help because of the number of QuikTrip stores in Southern Arizona. Each year, QuikTrip staff receive training on what to do if a homeless teen arrives. "The staff are directed to give the kid some food or water if they need it and put them in the back where they can decompress and be on their own," Mazerbo said. "Then give us a call immediately and let the kid know we have made the commitment to get there within a half-an-hour of QuikTrip calling us." In the fiscal year ending June 2017, Our Family Services reported helping 229 homeless teens.